My second major commission for SK and his family delivered these idiosyncratic buildings from an existing commercial warehouse structure in Northbridge. The operatic and playful exterior celebrated the life of Northbridge and its sense of fun and noise. 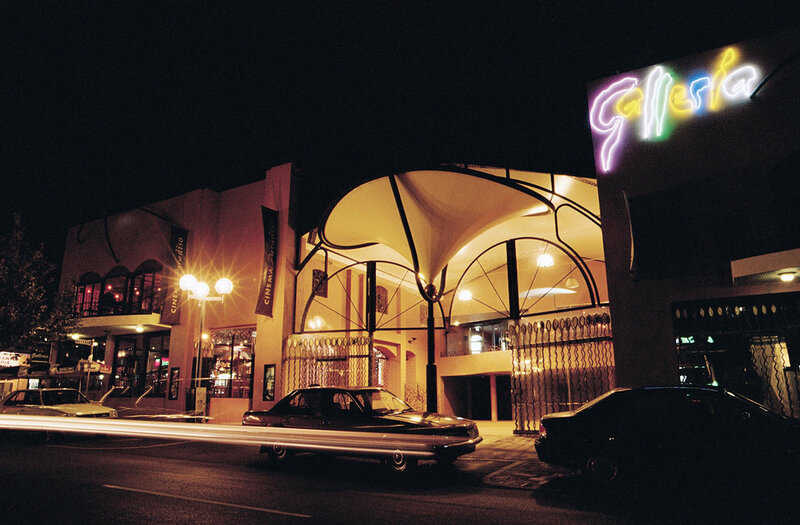 Cinema Paradiso of course became legendary and pioneered "boutique" multiscreen art cinemas in WA. The restaurants and other tenancies all interact at various levels and the building forms what I proposed to be a small village of its own. Diploma Construction built this remarkable repurposing of buildings.